Lydia Rohde plays defense. The senior guard and the Wildcats easily dispatched Chicago State for their first win of the season Friday. Lindsey Pulliam was the last one to find out. Northwestern had five starters to replace from last season’s starting lineup, and the freshman guard was told just hours before tipoff that she would get the chance to make an impression and start right away. After the success she found Friday, it won’t be her last. NU (1-0) beat Chicago State (0-1) 63-36 Friday night, and the Cats never trailed. Pulliam, a former ESPN top-100 recruit, led all scorers with 18 points. Even though NU didn’t make a 3-pointer over the course of the game, it shot its best percentage from the field since 2014, supporting Pulliam’s exciting debut. The Cats’ defense was likewise dominant, allowing just 7 points in two of the four quarters. Chicago State, scoring 36 points, had nearly 20 fewer than its average last season. Pallas Kunaiyi-Akpanah played the biggest role in the success of NU’s front line. The junior forward recorded her first double-double since her freshman season and didn’t miss a shot in the 20 minutes she played, scoring 12 points. 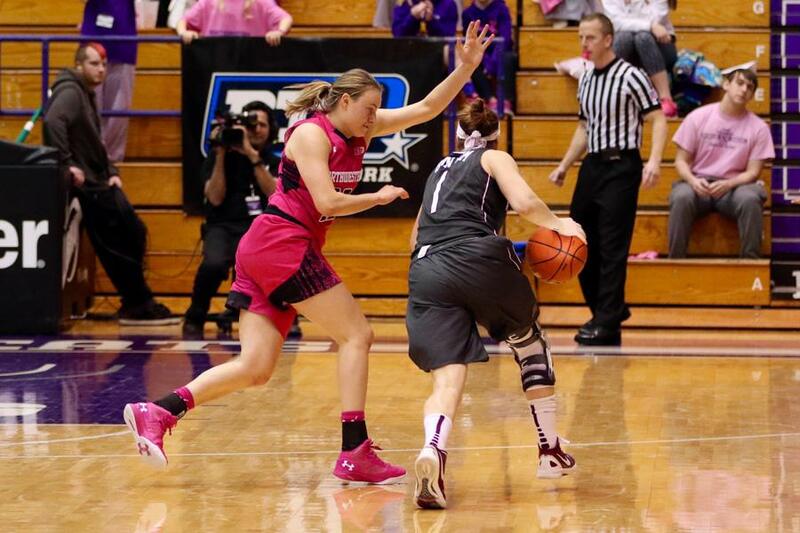 The Cats out-rebounded the Cougars by 18, and NU had a 46-20 advantage in the paint. Senior guard Lydia Rohde, who finished with 4 points in 32 minutes, said she was impressed by their quality of play while incorporating so many new pieces. The Cats’ next game is Thursday at home against Oakland, and coach Joe McKeown said he isn’t sure if junior guard Amber Jamison, who sat out Friday, will play against the Golden Grizzlies. As a result, he doesn’t know if the starting lineup will remain the same, despite the convincing argument Pulliam made Friday night. Pulliam had the highest scoring total in an NU player’s first career game since Nia Coffey, the second leading scorer in NU history, scored 19 points in her collegiate debut. Coffey turned her success into a WNBA career, and McKeown said Pulliam showed the same tendencies that could lead the Cats to success over the next four years.